From the acclaimed author of Secrets of a Charmed Life and As Bright as Heaven comes a novel about a German American teenager whose life changes forever when her immigrant family is sent to an internment camp during World War II. Elise Sontag is a typical Iowa fourteen-year-old in 1943--aware of the war but distanced from its reach. Then her father, a legal U.S. resident for nearly two decades, is suddenly arrested on suspicion of being a Nazi sympathizer. The family is sent to an internment camp in Texas, where, behind the armed guards and barbed wire, Elise feels stripped of everything beloved and familiar, including her own identity. The only thing that makes the camp bearable is meeting fellow internee Mariko Inoue, a Japanese-American teen from Los Angeles, whose friendship empowers Elise to believe the life she knew before the war will again be hers. Together in the desert wilderness, Elise and Mariko hold tight the dream of being young American women with a future beyond the fences. But when the Sontag family is exchanged for American prisoners behind enemy lines in Germany, Elise will face head-on the person the war desires to make of her. In that devastating crucible she must discover if she has the will to rise above prejudice and hatred and re-claim her own destiny, or disappear into the image others have cast upon her. 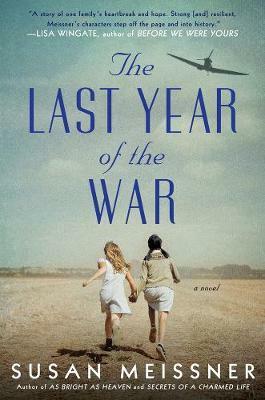 The Last Year of the War tells a little-known story of World War II with great resonance for our own times and challenges the very notion of who we are when who we've always been is called into question.